Author: Anonymous Set In . . . Description: Written in the thirteenth century, Njal's Saga is a story that explores perennial human problems-from failed marriages to divided loyalties, from the law's inability to curb human passions to the terrible consequences when decent men and women are swept up in a tide of violence beyond their control. 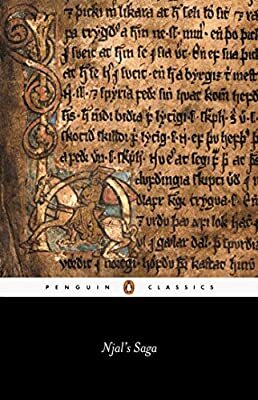 It is populated by memorable and complex characters like Gunnar of Hlidarendi, a powerful warrior with an aversion to killing, and the not-so-villainous Mord Valgardsson. Full of dreams, strange prophecies, violent power struggles, and fragile peace agreements, Njal's Saga tells the compelling story of a fifty-year blood feud that, despite its distance from us in time and place, is driven by passions familiar to us all. This Penguin Classics edition includes an introduction, chronology, index of characters, plot summary, explanatory notes, maps, and suggestions for further reading.